New Pokemon Game in Next Spring ? 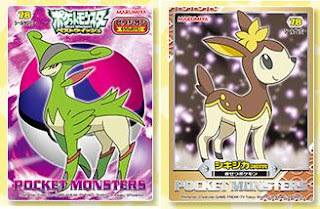 According to various game and Pokemon site reports, the following tweet is hot topic now. Nintendo Financial Results Briefing (invester meeting) was held last Friday, he attended then tweeted. AAPF checked the Iwata-san's presentation speech, document and QA full text (Q8-3 etc), but nothing mentioned it. His message was tweeted at AM9:59 Friday, also checked that nobody tweet about it in English or Japanese around the time. Seems it means the information came from outside of briefing. If find the additional news, will update soon. In the tweet on 'kid icarus', it release info have been already announced in Nintendo 3DS Conference 2011 held on 13 Sep 2011. Also it is mentioned on the above document. Only Pokemon info coming from out of meeting ? This meeting, target is for investor, press and analyst mainly. As of 31 Oct 2011 23:00 JST, cannot find any Japanese info in the web even one word. (except for my Japanese blog) Like that meeting summary by analyst is only there, but no Pokemon info. Just 2 weeks before, many game/news sites posted on old lovely info 'PokemonGray.com'. Why this time so quiet ? Confidential agreement is working very well if they know. Takara Tomy Arts (TTA) will release Pokemon Figure Zukan BW 03 in the middle of December 2012. Line as the follow : Will replace th image later. Major beverage company Suntory will starts the promotion of Pepsi Nex (calories free beverage) in the beginning of November 2011. 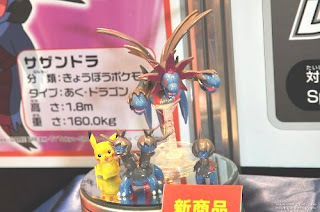 A Pokemon figure charm will be attached to Pepsi Nex 500ml bottle. 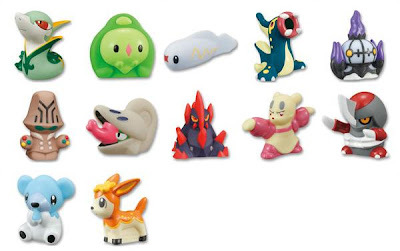 Pokemon figure charms is the following 24 lines. Also additional info (figure clear version) is posting in this article. A temporary image is uploaded to the following article. 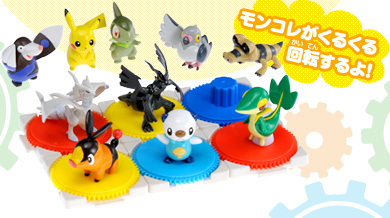 As Pokemon Fan Vol.19 mentioned merchandise nostalgic series 'Pokemon time', it is featuring RS Pokemon this time, will start on 29 October 2011. Plush Cushion plush lines are #316 Gulpin and #321 Wailord. For more details, please see the following personal blogs. Thanks for the info to Peka and Asami. 06 Nov 2011 : Edited the content and added links. McDonald's JP will release the following calendar on 4 November 2011. The calendar 2011 McDonald's released has been certified as the 'World's the best selling calendar", by Guinness World Record in 2010. Preorder starts on 23 October 2011, promotion item is 60pcs message stickers. As for other 2012 various calendars, please see these articles. In the stickers, piplup is there. 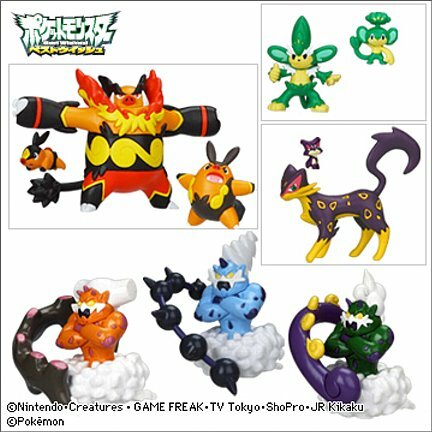 BTW, have you check these character figures ? Just info, added the name of attacks (kimewaza) to the following article. Bandai will release he following Kimewaza (Attacks) Pokemon Kids BW 2 in the end of January 2012. As for Kimewaza Pokemon Kids BW1, please refer to this article. 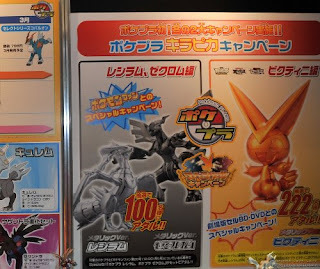 Here is a list for upcoming Banpresto plush series My Pokemon Collection (MPC) in November 2011 to January 2012. Will replace the photos later. 22 Oct 2011 : Was mistaken about 11/12/13, corrected. 18 Nov 2011: Replaced the image of 11. Feeling enough figure news today ? so you want to see plush news right ? OK, here you are. Tomy will release the following various plushies. Please see this article for the images. #638 Cobalion, #639 Terrakion, #640 Virizion Uploaded images to this article. 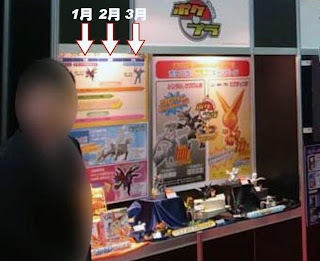 Here is a summary list of Tomy MC/MP figures release in October 2011 to March 2012. These figures has been released as movie set in July 2011. Same pose and single release in Novermber. 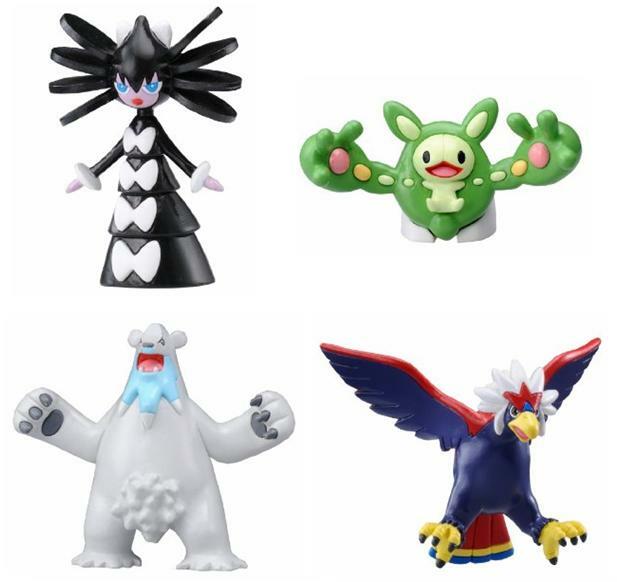 Sorry for missing in the last post..... Tomy will release the following Monster Collection figures (MC series) in January 2012. Will replace the pics later. 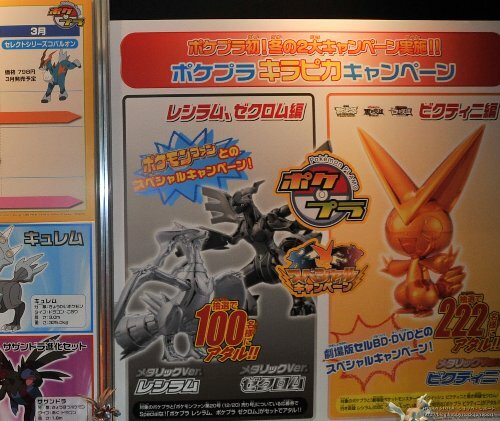 Volcarona, Kyurem (without battrio) also will be released in the same month, please refer to this article. 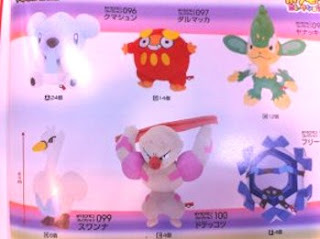 Tomy will release the following Monster Collection figures (MC series) in February and March 2012. BTW, Tomy group exclusive business show starts today in Japan. If some news was there, will post it soon. Just inform. The images in the following articles are replaced to clear one. Just short info on PokePark 2. New long PV for Pokemon game Wii PokePark 2 is aired in official site. Here is mirror video file. Preorder starts at PokeCenJP on 15 November 2011, promotional items are notebook, clear file, sticker and special wrapping. Thanks for the info to shellspider. 17 Oct 2011: Edited about battrio. 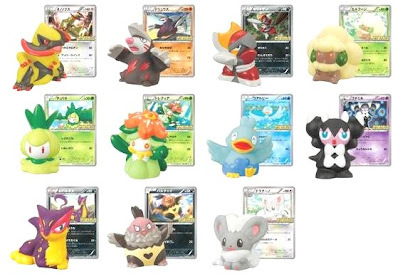 Here is a list/pics of Bandai Pokemon Kids release in September to December 2011. As for March to August 2011, will post other article as backdate post. In Yahoo Japan auction, the searching result is here. Available in the above BW Special Set with Pokemon TCG. It's very hard to get this. 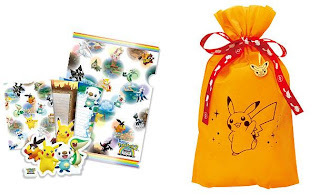 Major supplier of schoolchild stationery Showa Note Co., LTD starts new series 'BW Legendary Pokemon' in the middle of October 2011. 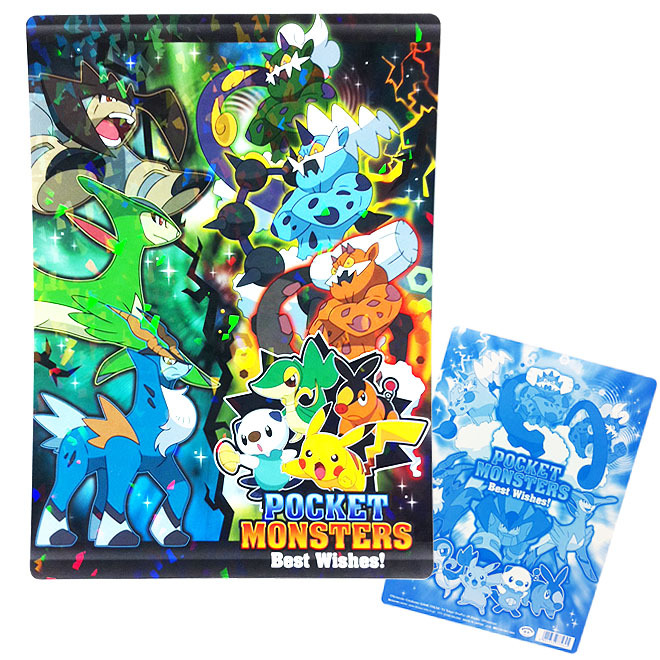 It's featuring Cobalion, Terrakion, Virizion, Tornadus, Thundurus and Landorus on the pencil casce, notebook and plastic board etc. As we reported on 51th All Japan Model & Hobby Show, it started yesterday for the press. Bandai displays the upcoming Pokemon Plamo in January and March 2012. Not yet unveil February release one at the moment. Seems nothing release. 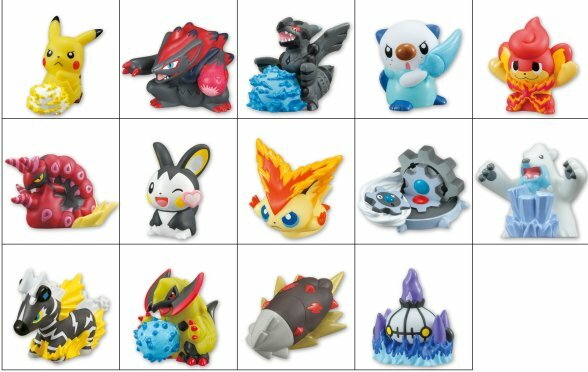 Seems Kyurem Plamo or December Pokemon Fan magazine (Vol.20) have the application form, then 100 or 222 winners will get Metallic Zekron, Reshiram or Victini. 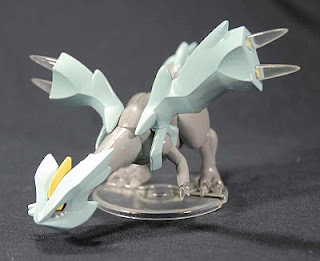 As for Kyurem in December release, please refer to this article. The following Pokemon Christmas plush will be released/have been released from PokeCenJP and Banpresto. 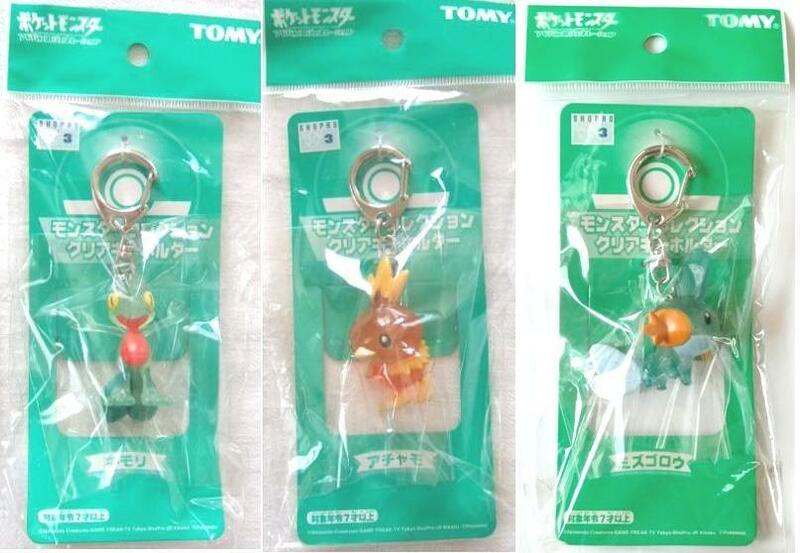 In previous article ' Pokemon Tomy MC Clear Figure Key Chain (Tomy)', pic is updated. 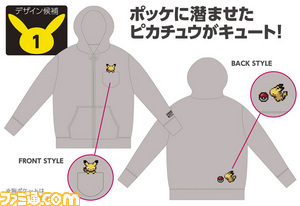 For anniversary publishing of Famitsu 1200th magazine, PokeCenJP will release the following one of Pikachu Hooded sweatshirts (one of 4 design lists) on 3 December 2011 as 'game dot series' based on survey result. Ranking 1st one with voting will be announced on Famitsu (17 Nov. release) and will be produced, size S/M/L. 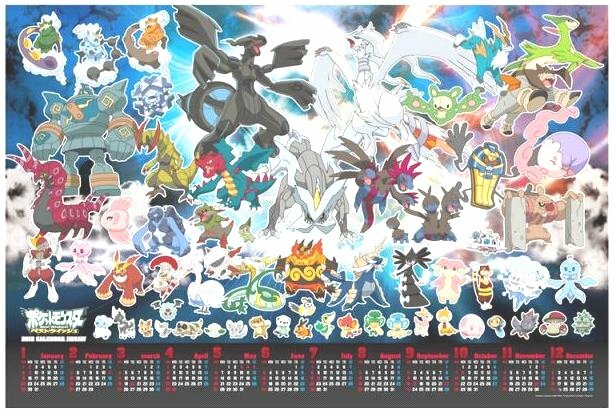 The various Pokemon 2012 calendars are released in September and October 2011. 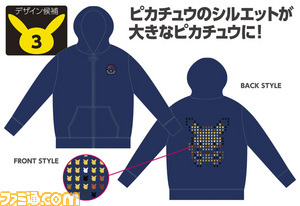 As for Pokemon Fan Club/PokeCenJP's one, it will be posted later. McDonald's JP 2012 calendar is shown this article. This is a Tour To The Those Days post. 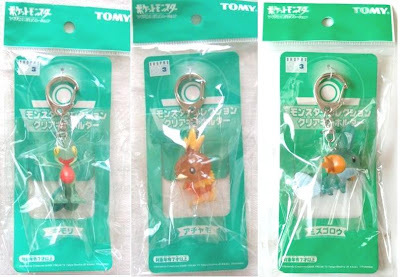 Tomy released the following clear figure with key chain as spin-off of Monster Collection regular series in 2004. Thanks for the Mudkip's image to Rirun. 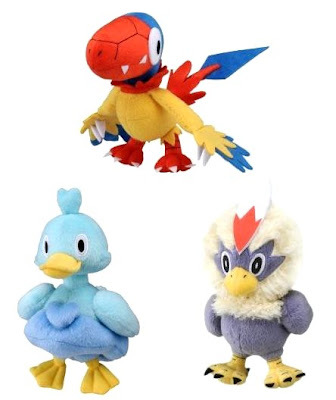 Other topic on clear figure in Tomy MC regular series, clear Blaziken figure is confirmed. Edited to the following previous article. Thanks for the info to Mary. 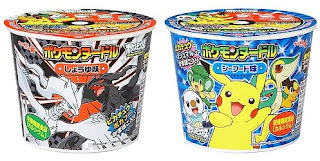 BTW, For Pokemon figure reference, would like to introduce the following sites in Japanese. 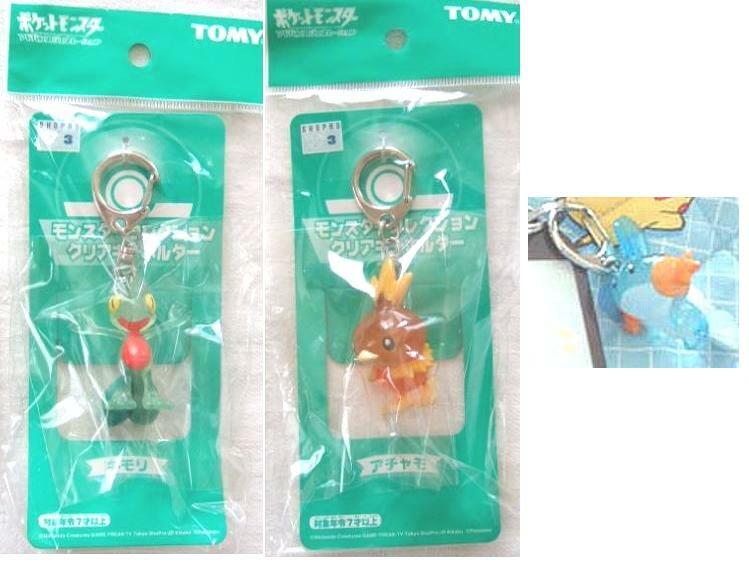 12 Oct 2011 : Changed pic of Tomy MC clear figure keychain. Many thannks to Rirun. 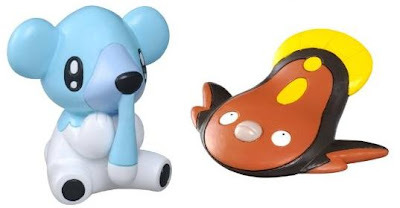 Will game PokePark 2 Beyond the World will be released in Japan on 12 November 2011, announced it today. Also the following official site launched. 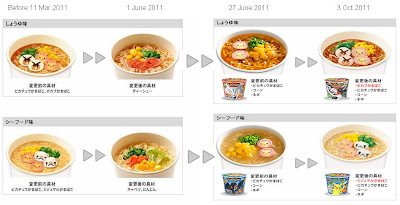 Major condiment company Marumiya Corporation renews the package of various items in October 2011. Also a collectable Pokemon BW sticker part 2 is including in the all products. A sticker is double type (sticker on sticker). Here is the sample, sticker No.18. Sticker Part 1 catalog mirror page, thanks to PEKA. Sticker Part 2 catalog mirror page in AAPF. 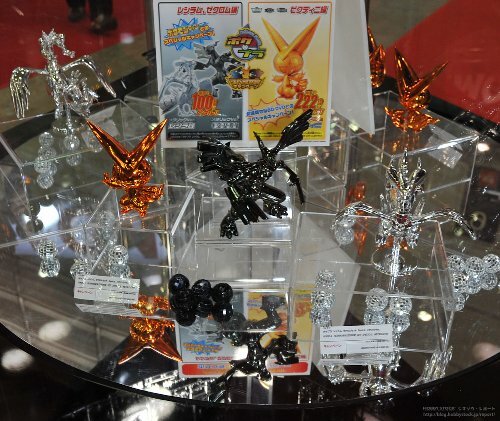 Tomy will release the following 10pcs figures set of Monster collection (M series) on 22 October 2011. Posing/color is same as before released. Includes a TonTon Sumo stage. What's TonTon Sumo ?? This is a fun game that recreates a match of Sumo with paper or eraiser, the traditional Japanese wrestling sport. When you tap the stage (sounds : TonTon), the 'dohyo' (the ring that the players wrestle in) shakes, making the wrestlers move. Please see the example in youtube. 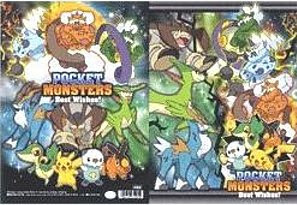 Set 1 was released on 30 October 2011. As we've known there is a possibility releasing of Kyurem plamo in the previous post. Yes, it's confirmed. DIY plastic model will out in the end of December 2011. A neck is movable, includes transparent parts like ice material. NOTE: Photos are trial piece with paintig. In January and March, Hydreigon Evolution set and Cobalion will be released. 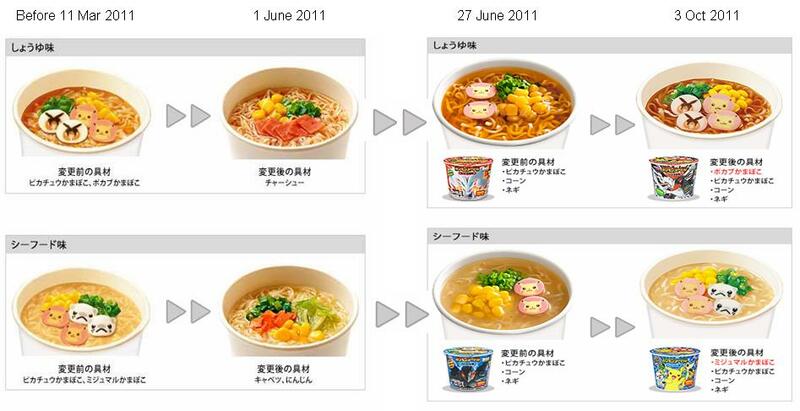 Sanyo Foods LTD, instant noodles major company releases the following noodles on 3 October 2011. The packages are renewal. The products was an insufficient supply of contents (Tepig or Oshawott Kamaboko : boiled fish paste) due to the earthquake/tsunami influence. Now it have been restored. A sticker (one of 78 kinds) includes in the noodle.